The City of Pensacola sits inland from the Gulf, along the Bay. It was the first European settlement on the continent of North America. An important seaport since 1559, it has one of the most colorful histories in the country. First, founded by the Spanish, taken over by the French, it was then acquired by the British - all in the first 200 years. During the Civil War, it became a part of the Confederacy but was later taken into the reformed union of the United States after the war. Having so many different cultures has produced a wide variety of architecture and attractions all over the city. 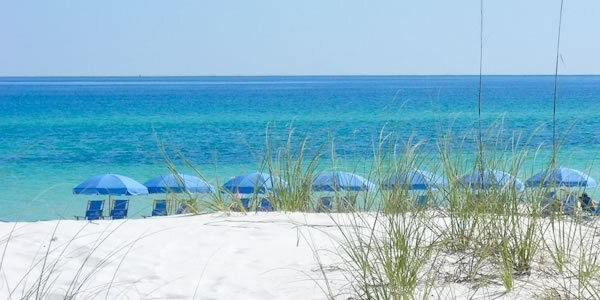 Likewise, it has given Pensacola and Beach numerous nicknames, including: "World's Whitest Beaches", "Emerald Coast", "Western Gate to the Sunshine State" as Pensacola is the westernmost city in Florida. The term "Pensacola" came from the Native Americans who originally inhabited the bay area. Pensacola, in NW Florida, has a temperate climate, mild winter, spring, and fall, as well as the usual summer months. This coastal community may be the perfect place to retire or just live a lifestyle that few are lucky enough to enjoy. Great city amenities include seven hospitals, the International Airport, six universities, several semi-professional sports teams (including the Blue Wahoos and their new waterfront stadium), theaters, golf courses, the opera, symphony orchestra, and much more. The public schools, rated among the best in the nation, including the City High School - which was rated the 8th best school in America in 2004. Several annual seafood festivals have occurred here for more than thirty years. The Great Gulf Coast Arts Festival draws more than 200 local, national, and international artists annually. A gem of the city is the Vietnam Veterans South Wall, a monument to all the fallen heroes of the war. The Greater Pensacola area consists of the following cities and towns: Gulf Breeze, Pensacola Beach, Cantonment, Milton, Molino, Navarre, Perdido Key, Navarre Beach, Ensley, Gonzales, Jay, Bellview, Warrington, Pace and Walnut Hill. Some other areas of interest are Bayou Texar, North Hill, and East Hill. Each location is beautiful and charming in its way, and our real estate agency has information on all of them right here. The property and attractions on our gulf front beach attract investors and vacationers alike. The beach is a barrier island, separated from the mainland by water and connected by the Bob Sykes Bridge. Our Realtors love to show customers all the available properties on the beach, and there is a page specifically for Pensacola Beach homes, with a map and more information about the beachfront. Are you looking for a luxury condo at a great price? Consider Beach Club Condominiums. These waterfront condos, located on the beach are perhaps the best value in top-notch waterfront property on the entire Florida Gulf Coast. Would you like a top producing Realtor to sell your house or condo? If you are considering listing your condo or home for sale, our brokerage employs a comprehensive program to utilize online marketing to sell your current home should you need to sell. Contact us to discuss the specifics of your property so an agent can start your market pricing analysis. Would you like to know what is you home worth? 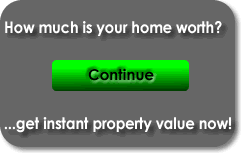 Choose Instant Property Value Estimate to assess a range of prices for properties like yours. Our new Pensacola MLS search tool is one of the easiest to use, and the best way to browse through available properties at your leisure. You may find it helpful to read about the homes and condos on our community pages, and then use this as a guide to decide where you want to look for listings. Emerald Coast Realty has taken the time to go out and take photos of the communities to help you see as much as you can before you visit or tour properties. Sign up for the daily email of new properties and call us when you are ready for a tour or need to ask a question.